With our Season Kick Off Party and Sponsor Expo behind us – We are off to the races! Many of our club members have already competed at Sampson County Super Sprint and Azalea Sprint. Our calendar is full of activities with more coming. This month we held two bike maintenance clinics and our weekly Tuesday night run in Garner is now underway. Plus, the Thursday morning track workout continues. 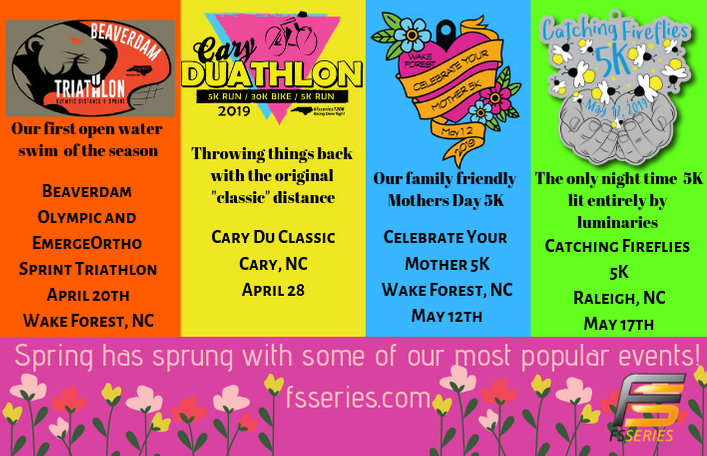 This week marks the start of outdoor evening rides in Cary and Garner. We are working to add a ride in North Raleigh as well. The first of our 50/100-mile supported rides was scheduled to be April 7 th , however, we are cancelling this ride since we only have one person signed up at this point. If you are planning to attend an event, we need you to RSVP on the calendar. We have begun scheduling open water swims. There are details below. Again, we need you to RSVP to these calendar events. 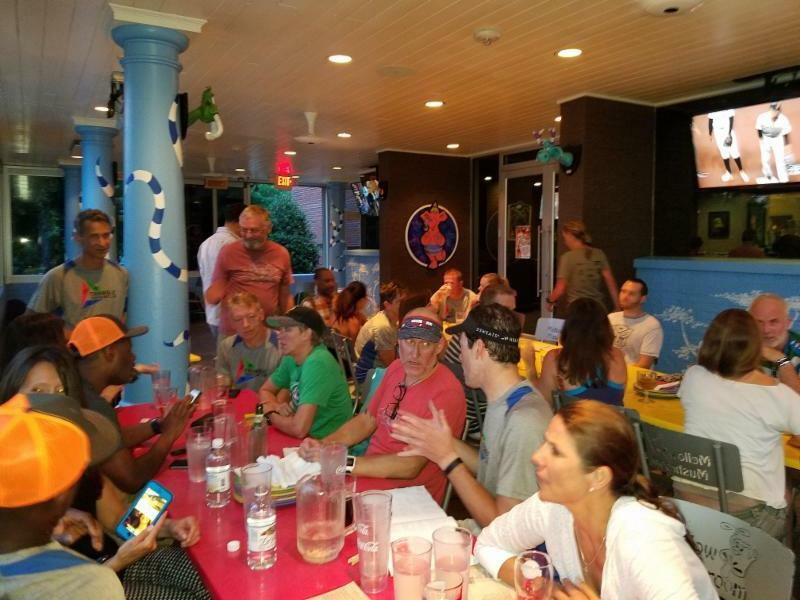 And of course, we are super social, with monthly socials beginning this month. 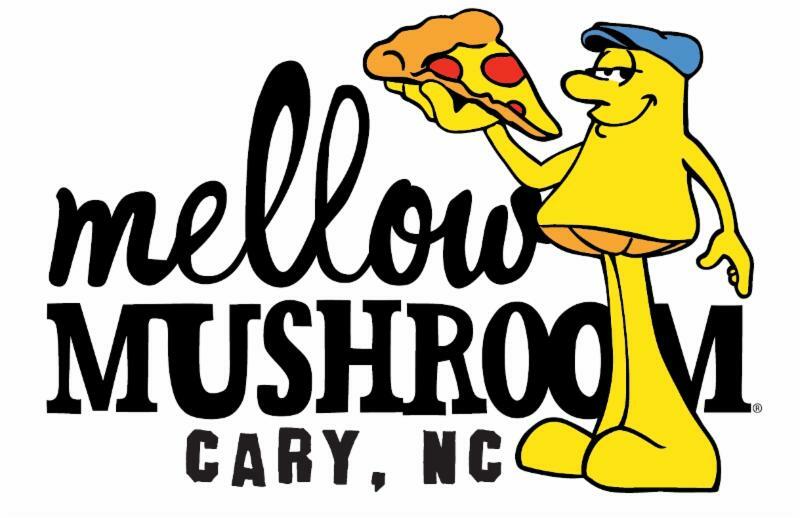 The first Tuesday of the month at Mellow Mushroom in Cary and the second Tuesday of the month at Krafty’s Burgers and Brews in Garner. These socials will continue through September. Also, the first two sessions of our Beginner Training Program are underway. A third session is scheduled to start in May, so help get the word out. While the calendar is filling up, we are also looking to do more. If you have an idea for a clinic or other event. Please let one of the Board Members know. Please see the special limited time offer from Road ID, I encourage everyone to wear one. 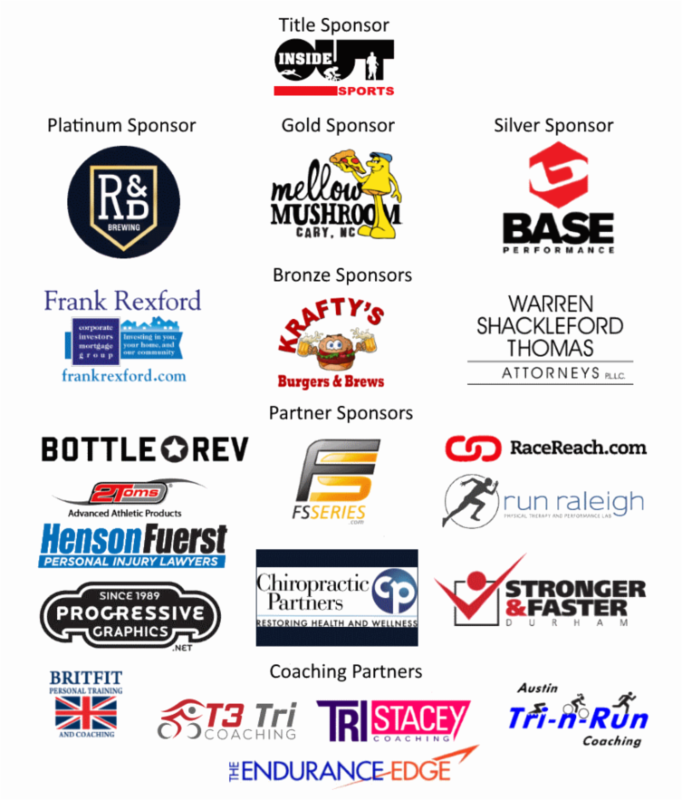 Reminder, support our sponsors, that cool kickoff party is only possible because of our sponsor support. 1) If you can't speak for yourself, ROAD iD will speak for you. 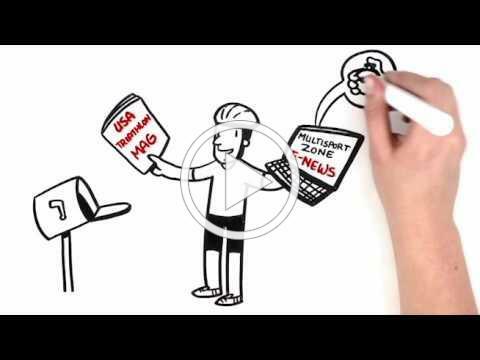 2) ROAD iD enables First Responders to immediately contact family members and friends. 3) ROAD iD enables family members to provide additional details about your health or give consent for potentially life save procedures. 4) ROAD iD enables hospital staff to locate vital medical records. 5) ROAD iD can communicate medical conditions or allergy information to medical staff. 6) ROAD iD can prevent serious delays in treatment by saving crucial time during the "golden hour" of medical treatment. 7) It's far better to have Road ID and not need it than to need ROAD iD and not have it. It's not just a piece of gear, it's peace of mind. 8) Accidents happen far more than you think they do. Each year approximately 450,000 of us are taken to hospitals unconscious and without identification. 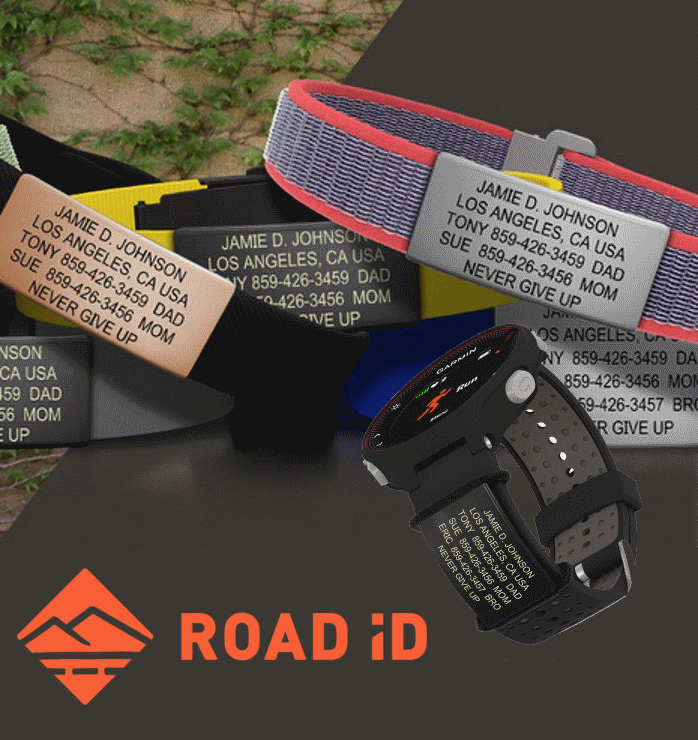 9) ROAD iD looks good on and makes a statement about your athletic lifestyle – not to mention that studies would probably prove that people that wear Road ID are considerably smarter than those that don't. 10) ROAD iD can save your Life. Period. The rain held off and the sky cleared for our Kick Off Party and Sponsor Expo. If you missed it, click here for a picture tour of the day. We had about 125 club members and guests attend. Cyclists know that every ride holds the risk of a bike-car collision. We understand that danger on an intellectual level, but we don’t dwell on it. We push aside thoughts of an unpredictable outcome too horrible to contemplate. If we didn’t, bikes would collect cobwebs in the garage. But cycling wrecks happen, and when they do, the cyclist often suffers serious—if not catastrophic—injuries. Still, for most of us, the ride is worth the risk. But before you put on your helmet and hi-res gear, before turning on lights and wrapping up with reflective tape, I urge you to consider another critical element of protection that most cyclists miss: insurance. Everyone in North Carolina is required to carry liability insurance on their car. This pays for property damage and injuries suffered by the other person in a wreck—even if that other person is on a bike. So, let’s say you’re a cyclist struck by a motor vehicle. The car driver’s liability insurance will cover the cost of your injuries…but only up to the limit of that driver’s policy. In our state, you are only required to carry $30,000 in liability car insurance. Clearly, $30,000 will barely put a dent in the medical costs of any serious injury. Worse, the DMV estimates that 1 in 7 drivers unlawfully carry no liability insurance, which means they couldn’t contribute anything to your hypothetical medical bills in the event of a bike-car collision. However, you can make up for this shortfall in other drivers’ insurance by purchasing uninsured motorist (UM) coverage and underinsured motorist (UIM) coverage for yourself. That insurance is not only for your vehicle—it follows you and everyone in your family. It covers you when you’re cycling, it covers your spouse walking to work, and it covers your child riding with a chaperone in a friend’s car. 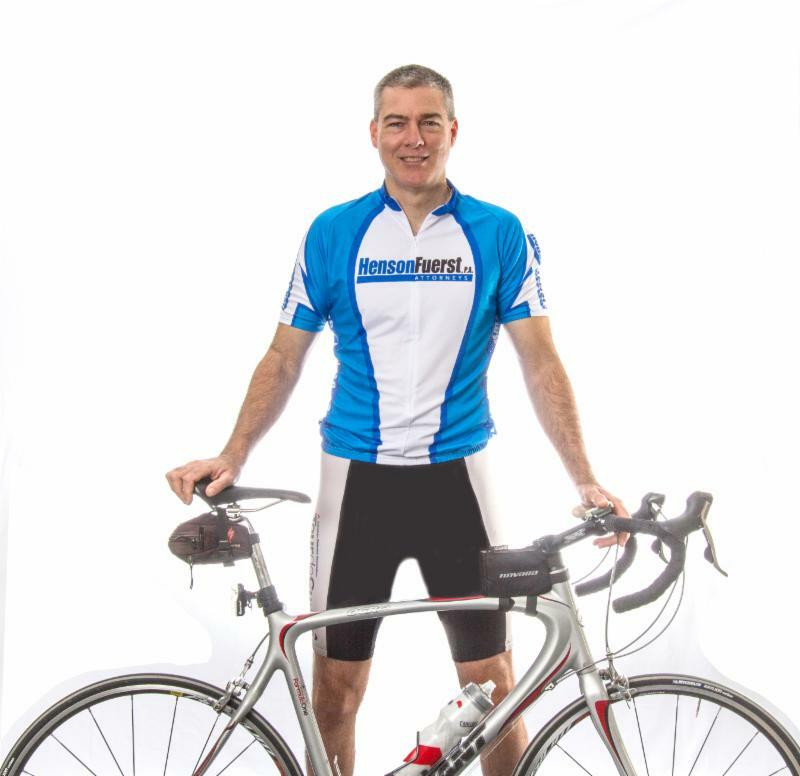 As a catastrophic injury attorney, I have seen the devastation of a cycling injury. That’s why I recommend that you call your insurance agent (or go online) and sign up for as much UM/UIM coverage as you can afford. Depending on your policy, you can get $1 million in coverage for about $100 extra per year. A policy for $2 million is just a few hundred more. I, personally, have opted for $6 million in UM and UIM coverage. It gives me peace of mind to know that I’ll be protected in the event that the unthinkable happens on my next ride. If you are hit by a car while cycling, your medical expenses are, in theory, covered by the motorist’s car insurance. If the driver has no insurance or not enough insurance to cover the full cost of your injuries, then your own UM/UIM coverage kicks in. That UM/UIM insurance (from your own car policy) will pay all your bills, and provide compensation for pain and suffering. Uninsured motorist insurance will even cover costs should you be struck by a hit-and-run driver. That’s the way it is supposed to work, but if it were that simple, I would be out of a job. In reality, insurance companies don’t like to pay, even if there is a valid policy in effect. You won’t wake up in the hospital after a wreck with a fat check waiting for you. All insurance claims are adversarial, even if it is a claim from your own policy with your own insurance company. Companies that advertise that they have you in “good hands” or are “on your side,” often then drown you in paperwork and challenges when it comes time for them to pay up. To get compensated, you will need to prove all elements of your damages—your medical bills, continuing care costs, physical therapy, pain and suffering, everything. It’s an arduous task, especially when you’re recovering from an accident. As an injury attorney, my job is to make sure my clients get proper payment for their injuries, whether or not the case ends up in court. I handle the dispute so my clients can heal. However, you can’t win a fight for money that isn’t there. Having UM/UIM coverage ensures that the money is potentially available should you be injured, whether on your bike, in your own car, or anywhere else. So…check your car insurance policy to see how much Uninsured and Underinsured Motorist coverage you have, and sign on for as much as you can afford. Consider it an investment in your peace of mind. Ride Safe, and I’ll see you on the road! We are off to a great start with the TTC Beginner Triathlete Program with the first 2 sessions underway and the third session filling up. We’ll be out at the Triangle Sprint and 3 Little Pigs so if you are racing those, give our team a big shout out and cheer them onto the finish lines. If you are interested in joining the 3 rd session for the Rex Wellness Wakefield Sprint (August 15 th ) please get in a get registered. Check out our 2019 Beginner Program for more information. 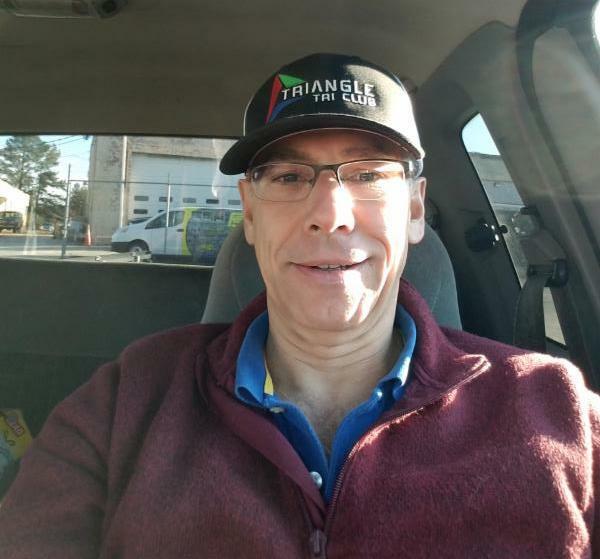 If you are racing a full or half IRONMAN this year or need help with shorter distances outside of the Beginner Program, please give me a call or see me at the Triangle Triathlon Club Kickoff event for more information. 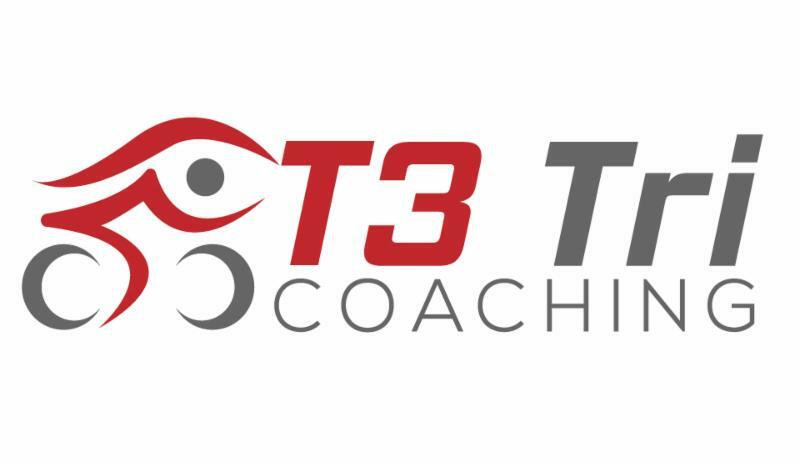 Learn more at www.t3tricoaching.com . I look forward to seeing you out training and crossing the finish line. Did you try your ButtShield sample? Included in your club packet were samples of SportShield and ButtShield, if you have not tried them out now is the time. This year you can get discounts on Amazon.com and Medi-Dyne.com (10% and 20% respectively). 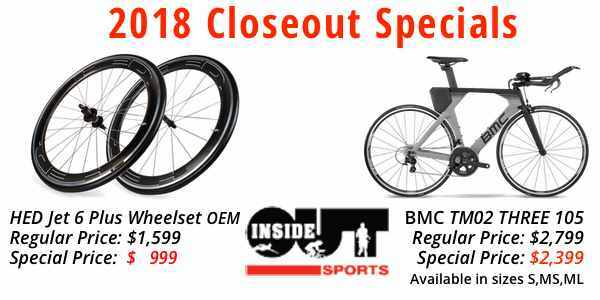 TTC members also get a 20% discount at Inside Out Sports. They have created a COUPON CODE that is good through 10/31/2019. They are also giving a SportShield and ButtShield sample in each bag for our expo! The discount codes are listed in the Members Only section of the TTC website. Check out the reviews for yourself! This stuff has been top rated by Canadian Running Magazine, Ultra Running Magazine, Slowtwitch, and Cycling Weekly to name a few. To top it off, they do 100% satisfaction guarantee. Stays on longer, last longer, and it’s waterproof. Roll-ons for general chafing or handy wet wipes available for portability and “down there” you know what I’m saying!? Welcome to all T.T.C. members! Stronger and Faster Durham is proud to join T.T.C. as a 2019 sponsor. The following is some information about SAF and The Choice Performance Center, and how we can help you reach and exceed your performance goals. The Choice Performance Center, since 2015, has been one of the area’s best training facilities for athletic performance and everyday fitness in the Triangle. Owner, Tyrone Irby, is a certified personal trainer (C.P.T. ), corrective exercise specialist (C.E.S.) and performance enhancement specialist (P.E.S.) by the National Academy of Sports Medicine- one of the top certification organizations in the world. The C.P.C., located in the RTP area of Durham, North Carolina, is an ideal training location for endurance athletes including marathoners and triathletes. The 2400 square foot facility is equipped with two Rogue Fitness power racks, barbells, kettlebells, dumbbells, a hex bar deadlift along with a deadlift station. For SAQ (speed, agility, and quickness), we offer battle ropes, agility ladders, hurdles, agility cones, medicine balls, jump rope, plyometric boxes, and TRX. The philosophy of Stronger and Faster Durham is functional movement training of the six basic movement patterns of push, pull, squat, hinge, loaded carry, and rotation. We train in all planes of motion (frontal, sagittal, and transverse) along with all movement actions (concentric, eccentric, and isometric). For more information about our philosophy of training, please read our article The Absolutes of Strength Training. 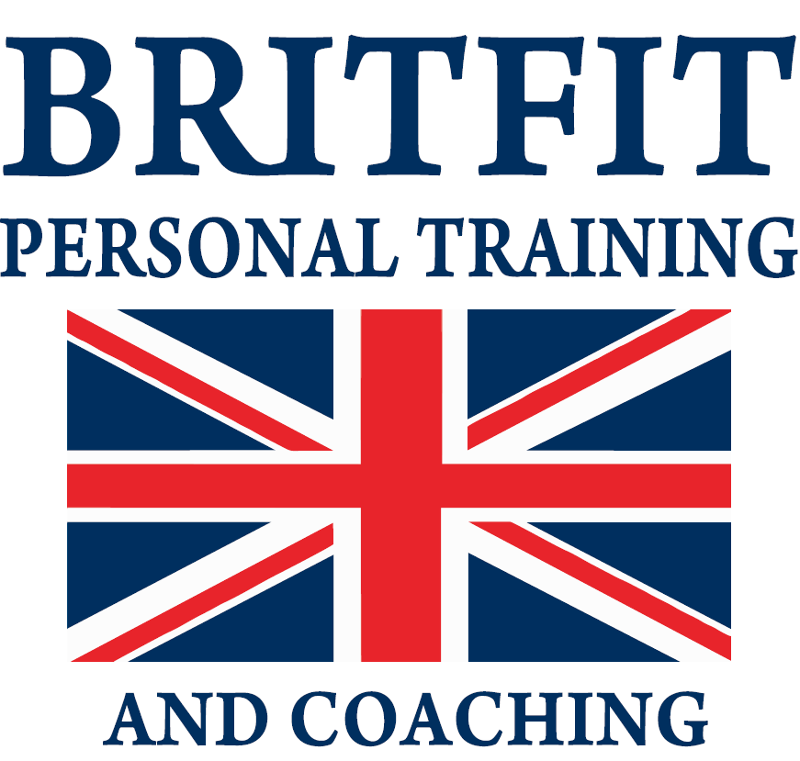 We offer personal strength sessions, along with small group training. Our facility will accommodate up to 20 athletes for a training session. Each of our programs are designed specifically for each athlete. 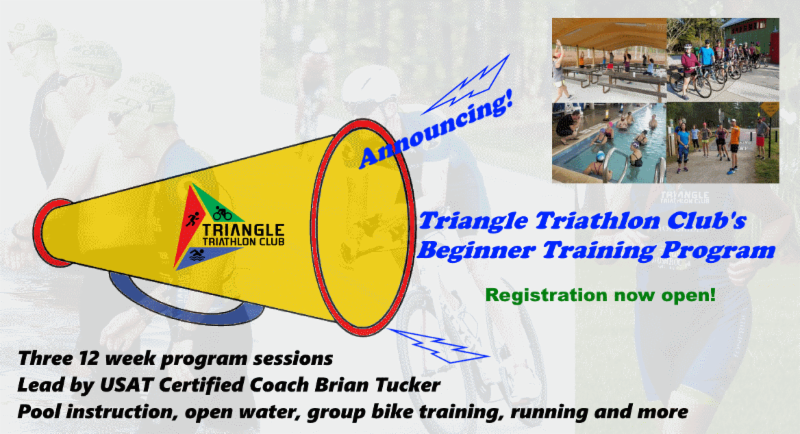 Triangle Triathlon Club members receive 10% off all training programs. 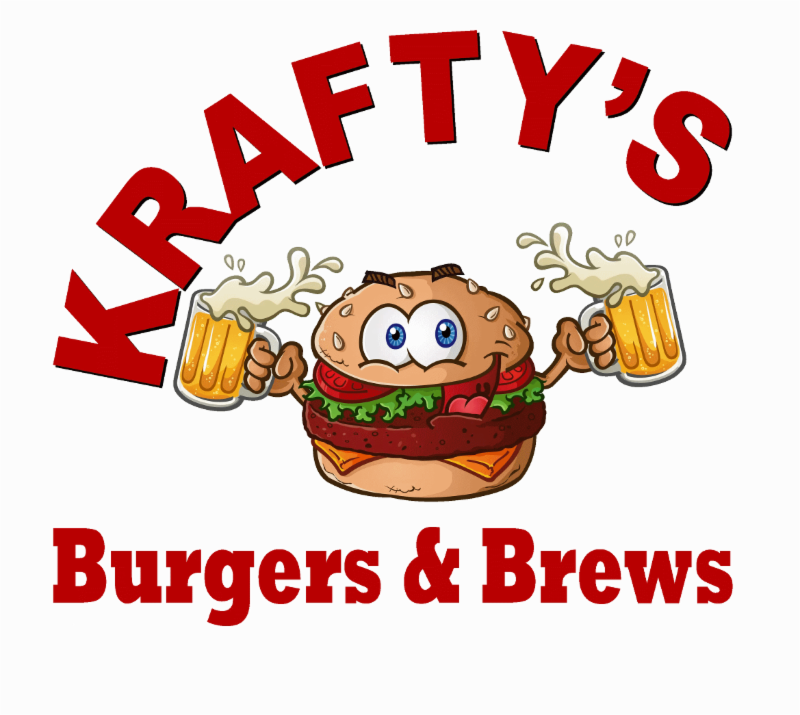 The second Tuesday of the month (April-September) we have a post-run social at Krafty Burgers and Brew in Garner. Tuesday night special is $10 Burger & Beer of your choice. The club will buy the first beer for all members in attendance. Join us for the BEST Training Retreat April 5-7, 2019 in Blowing Rock! What’s provided at this ALL-INCLUSIVE training retreat designed to make you Inside Out Strong? **Bring a friend SPECIAL!!! 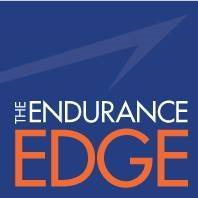 Register with a friend between now and March 6th and YOU BOTH get a FREE Fueling Edge meal, choice of swag (Headsweats Hat, Tri Bag, or Stainless Shaker Cup), AND a $20 gift card to The Endurance Edge. Sighting : Place an object on the pool deck at either end of your lane. Two or three times on each lap, lift your head slightly to focus on the object before turning your head to breathe. If you miss focusing on it (as you sometimes fail to see the buoy), then try again on the next stroke. Swim several hundred yards sighting this way. Swimming Straight: Sight 2 to 3 times as in the previous drill, but keep your eyes closed except when sighting. Note which way you tend to drift and begin to correct for that drift. (Don’t do this unless you have the lane to yourself). Crowding: Find a partner of similar swim speed, and swim next to each other for several hundred yards, occasionally bumping into each other. Get used to the crowding and the adjustments required of your swim strokes and breathing. 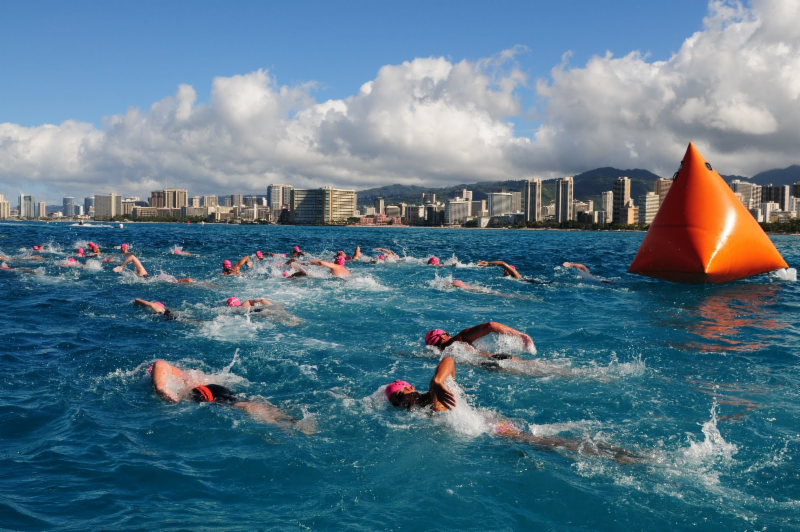 It’s also valuable to practice swimming at different and higher cadences, as open water swimming often requires higher cadence due to crowding and chop. 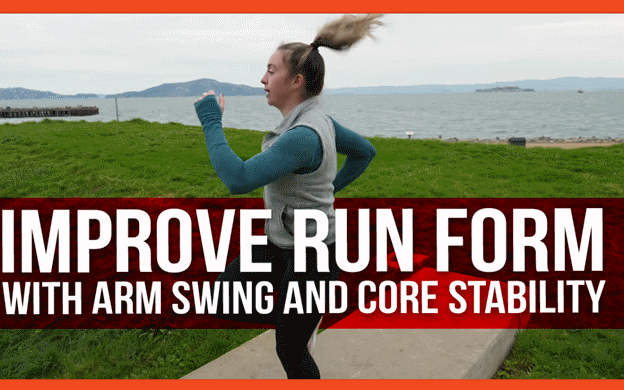 Forget that long glide. If you’ve bought a new wetsuit in the off season, get in the pool with it to get used to the feel. Also practice taking it off. 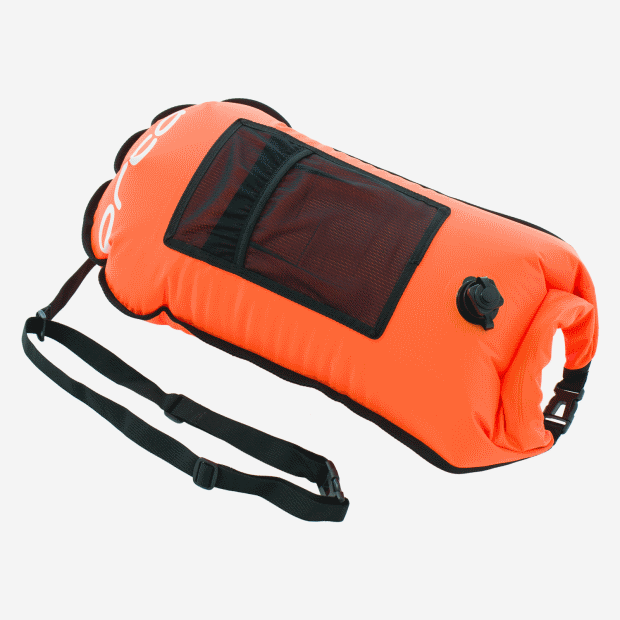 This is advisable even for used wetsuits as many swimmers are flustered by the upper body constriction and require an adjustment period. We are going start open water swim practice sessions. If we get a good turn out we will schedule more sessions. 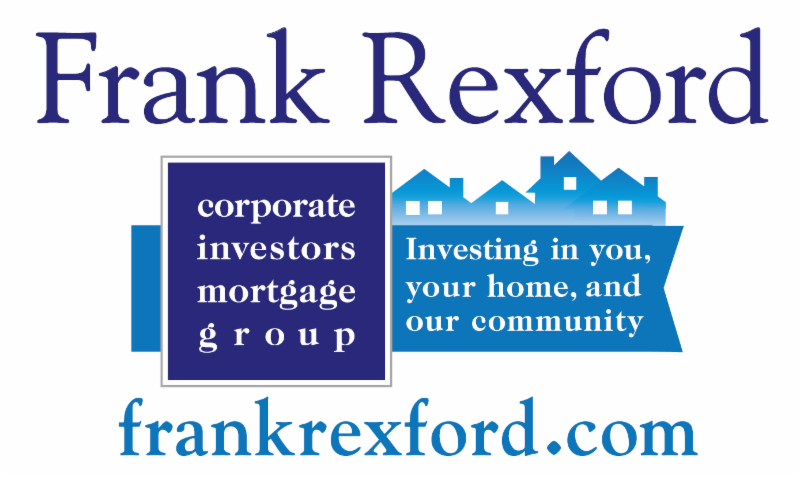 One of the things I love about my work as a mortgage lender is the flexibility with my schedule. Since I’m often working for my clients at night and on weekends, it is acceptable when I need to take time out of my work day to train. It was a shock the first time a text message popped up on my bike computer, from a client who needed a preapproval letter. I had no idea my Garmin linked to my phone - but that text message was motivation to ride harder to get home from that long Sunday bike ride and write that letter! As a triathlete, you may have a coach guiding your training for a goal race. I’d like to propose that you think of me as your mortgage coach. Everything we talk about will always be 100% confidential. I’ve worked with many local triathletes, but you’ll never hear me mention a name. My favorite part of this career is coaching my clients through this process and solving what may seem like a challenging issue so they can become a homeowner, particularly if they thought they couldn’t before. For example, A TTC member recently asked how to qualify to buy a home as soon as possible, due to a pending divorce. This is a sensitive topic, and mortgage financing can be tricky. But I was able to offer ideas and provide guidance, so they knew what was going to be required, understood the necessary timeline, and we created a plan to make this happen. Have you ever wondered what it means when you hear someone talk about “racing at Nationals” or “Worlds ITU Championships”? There are various distances and even various multi-sport options. Being a multi-sport athlete you get the opportunity to do all sorts of amazing things-The word MULTI-SPORT gives you diversity to mix it up. Do you do duathlon, Aqua-Bike, Sprint, Standard (Olympic) and long course distances? There is always something to suit your abilities. You can race at a National Championships without qualifying; you just cannot be ranked as an age grouper through this avenue. A 2019 Regional Championship occurring prior to August 1, 2019, qualifies the top 35 percent or top five (whichever is greater) of competitors per their respective age groups for the 2019 Toyota Olympic-Distance Age Group National Championships in Cleveland, Ohio, on August 10. Regionals occurring after August 1, 2019, will qualify the same classification for the 2020 Olympic-Distance Age Group National Championships. National championships are your path to race against the country's best multisport athletes. It’s also a way to get a spot on Team USA , allowing the chance to represent your country on the world stage at ITU World Championships. The International Triathlon Union is the Multi-sport’s governing body. Athletes come together at the various differences ‘Festivals’ from around the world race at a specified venue. The 2020 ITU Standard and Short Distance Triathlon World Championships will be in Edmonton, Canada. The whole experience of Nationals or Worlds can seem a little intimidating. However, being brave and getting out of your comfort zone is how you grow and move forwards. You get to have fun, travel, see the world, make new friends and have lasting relationships from around the Globe. For more on this topic, join me when I present my talk (date TBD) for our club. I will share experiences and information that will hopefully show the richness this sport brings to our lives. New for 2019, all club members are required to have a USA Triathlon annual membership in order to be covered as part of the Club Insurance Program. Please note, this change was initiated by USAT, not by TTC. This supplemental insurance covers you for scheduled TTC Club activities. Scheduled activities are those activities listed on the official club calendar. 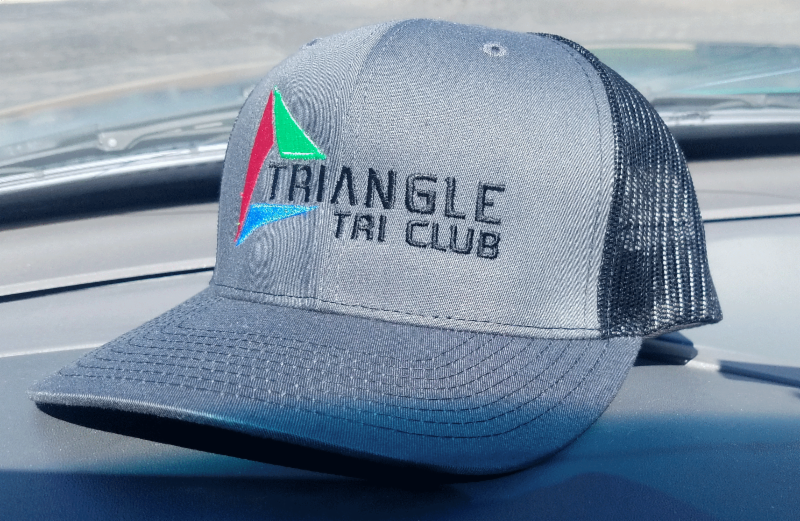 Be part of the Triangle's largest and most active club! Remember, membership is done on a calendar basis , so if you were a member in 2018, it is time to renew. 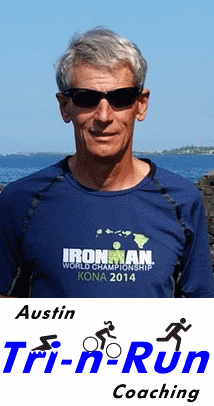 If you are a beginner triathlete, check out this program. If you are an experienced triathlete, please share with your friends that keep telling you they want to do their first triathlon. BASE Performance is back as a 2019 TTC Sponsor! 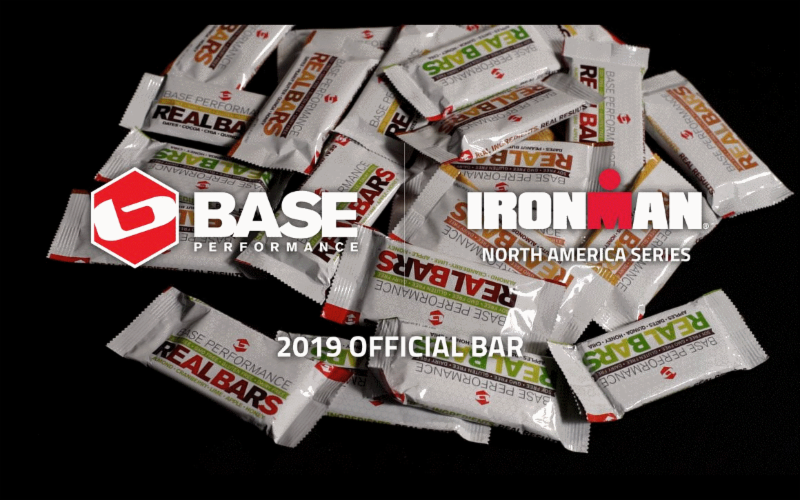 The official on course bar for the IRONMAN and IRONMAN 70.3 North American series. These bars Certified Organic, Certified Non-GMO, Certified Gluten Free, Certified Kosher, Dairy Free, Soy Free, and Zero Artificial Ingredients AND delicious! BOOM! As a Base Performance partner TTC Members are invite to the Base training camps. We also have TTC Sweatshirts and a few visors. There are a few race kit items as well. Let us know what other TTC logo items you would like to wear. You can purchase these items in the TTC online store. Why not post them here and on Facebook. Our newsletter has a wide distribution beyond current club members. The discount are for current paid club members, so we only list them in the password protected portion of the website. 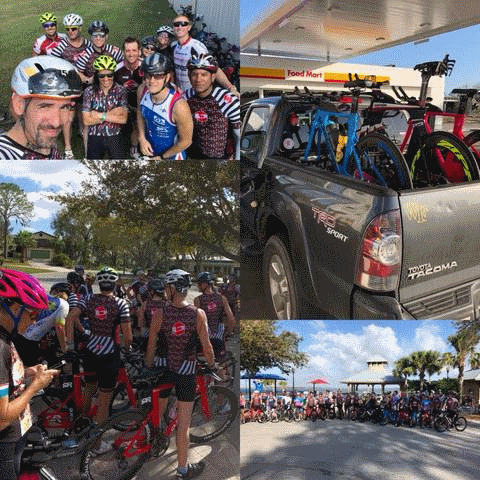 IRONMAN TriClub - Are you affiliated with TTC? Go here to create an account and/or affiliate with TTC USA .